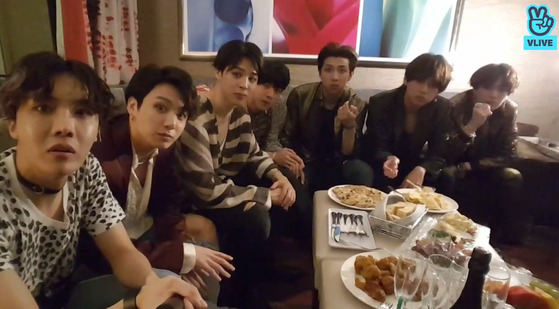 BTS shared their thoughts about the experience of attending 2018 Billboard Music Awards(BBMA) through V LIVE on May 20 (local time). 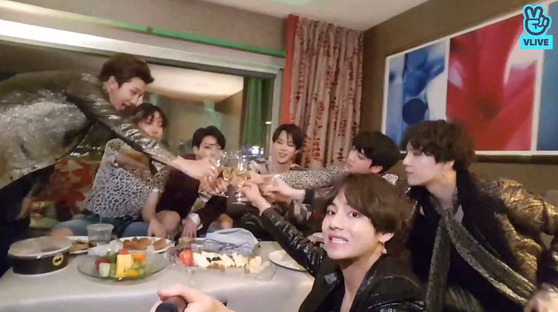 At the awards the same day, BTS won Top Social Artist award for the second time in a row and performed the debut stage of the new song FAKE LOVE. 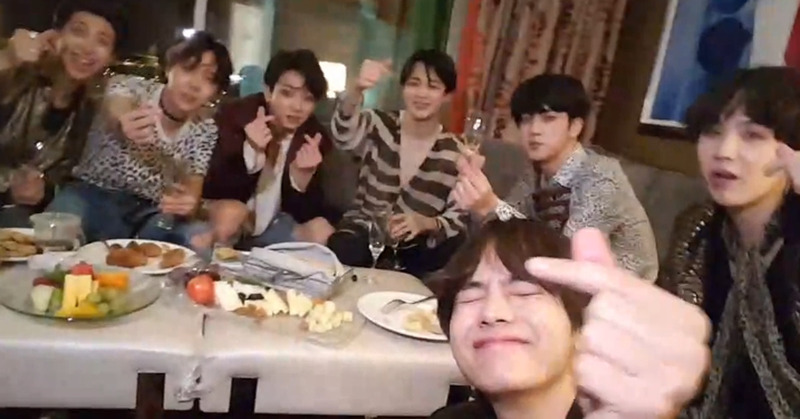 Through V LIVE, BTS members spoke about behind stories that could not be told on stage. Jimin attributed the honor of award to ARMYs, saying "I thought my heart was going to explode. This is an award you guys made possible for us." 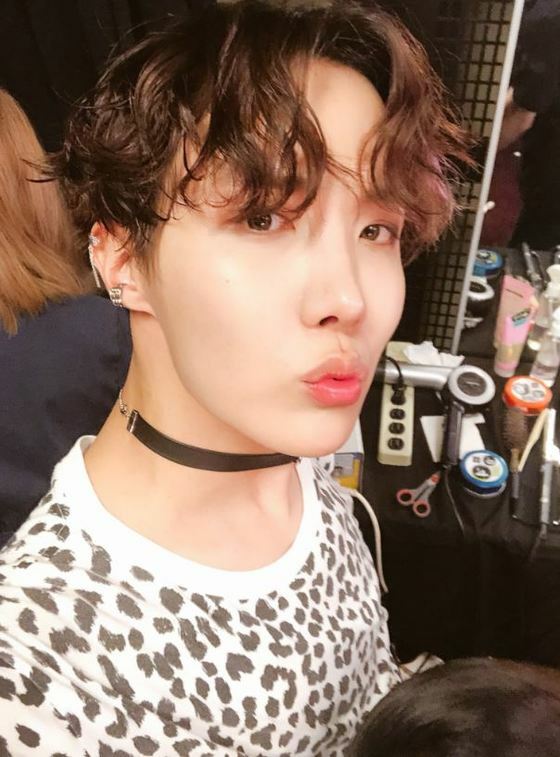 When RM suggested, "Let's talk about things we couldn't say," J-Hope said, "I was so happy to meet and say hi to the artists that I have known since I was young. Thanks to ARMYs, we could come to Billboard and perform a comeback stage. You guys made impossible things possible." "I felt the shouts with my body. 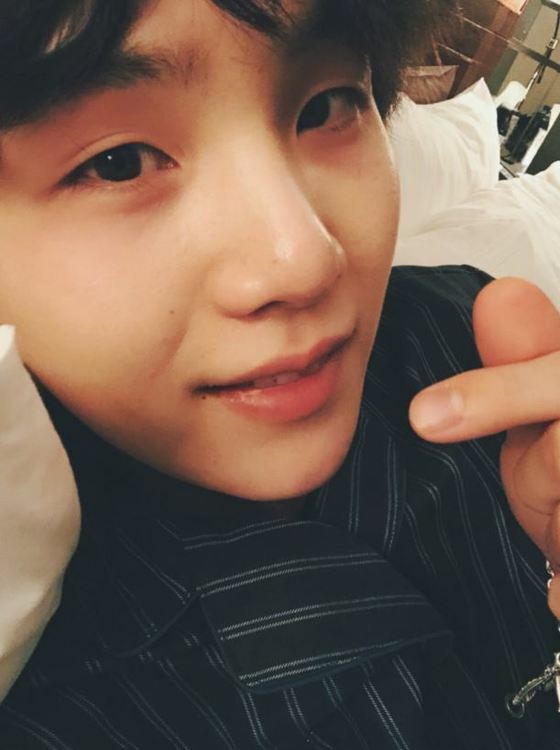 I could also feel it as a vibration," said Suga and he added on as if he was amazed, "Staffs of Lil Pump liked us so much." Jimin said, "What was really funny was, I've never seen RM hyung shaking while speaking to somebody, but when he met Pharrell Williams, he was shaking so much." J-Hope also said in a surprised voice, "You were really trembling." 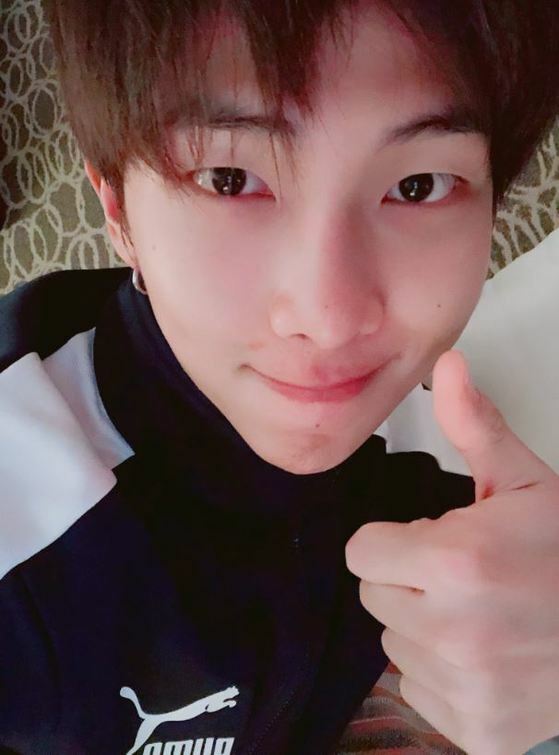 RM confessed, "I've been a big fan of him since I was young. I think he's the sexiest guy on Earth." 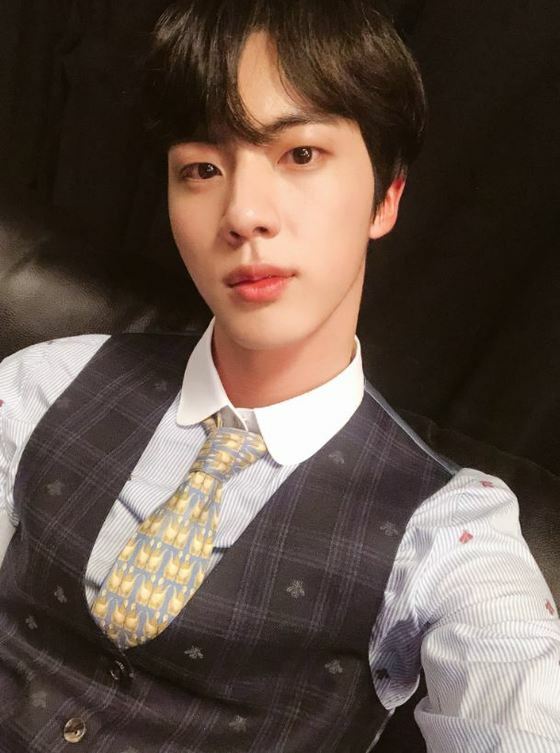 Jin brought up another story saying, "For me, it was so funny how our CD came out of John Legend's bag. It was so cool that he said 'BTS, please sign here.' We even taught him the 'Korean heart' when we took photos together." 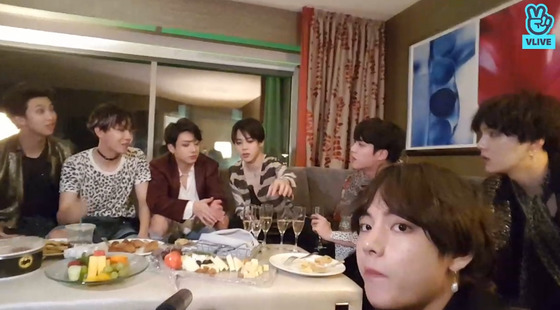 "We were invited to a lot of after-parties but here we are, doing V LIVE," said V and Jungkook looked back, "It was great to meet all the celebrities but to me, performing on the stage was the best." 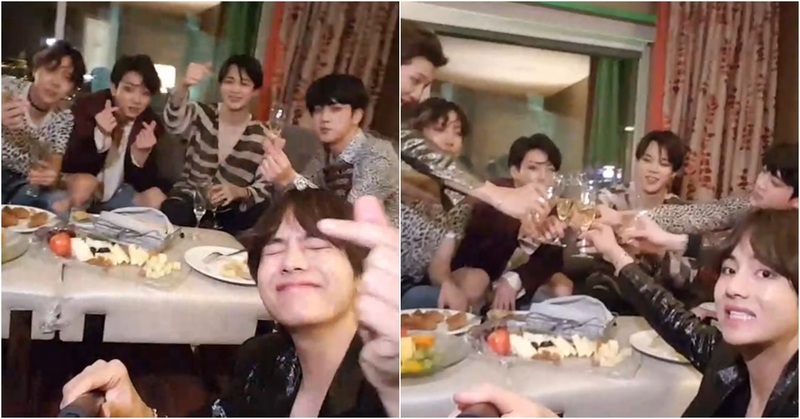 BTS wrapped up their own after-party, popping champagne and saying "It was a historic day." They also did not forget to convey their appreciation for their fans through Twitter after the awards. From the moment they received the trophy, to the moment they fell asleep, ARMY was always on their mind.